Kate had a birthday party this weekend. 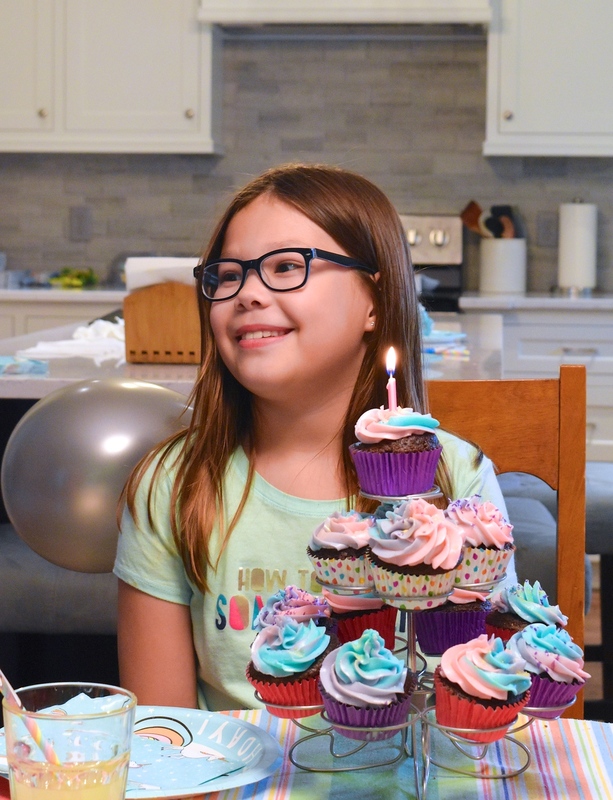 Her real birthday is in the spring, which we acknowledged with various family get-togethers, but it took us this long to also throw her a friends-celebration. Many reasons, but mainly we wanted to wait till the summer so she could have the sleepover party she'd wanted. The theme this year was Unicorn(s). 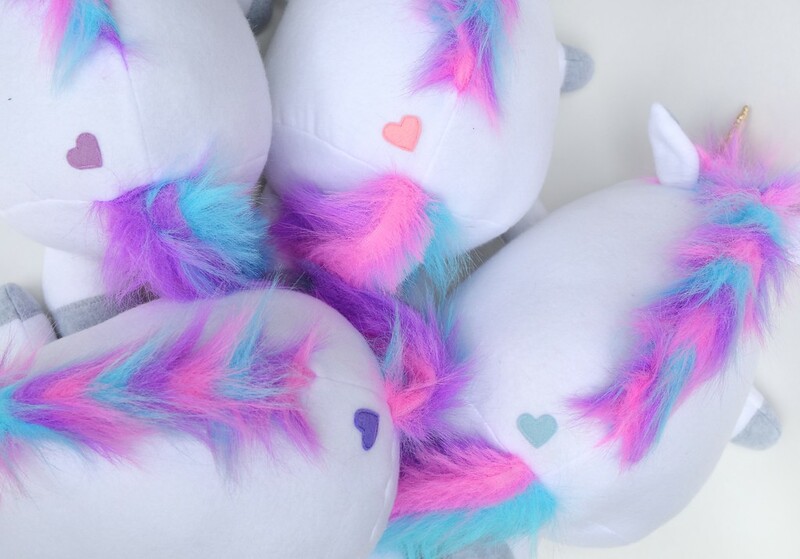 and all the decorations, in unicorn-appropriate colors. She and Jenna also made the cupcakes (Kate helped with the sprinkles - we used edible pearl glitter). 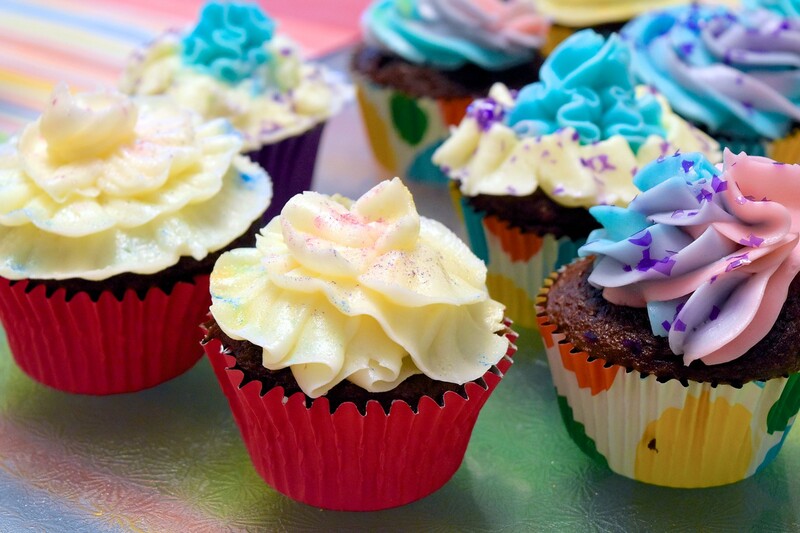 I was allowed to make the frosting and test-pipe it on a few of the cupcakes, after which the children banned me from further helping. Party prep sure has changed around here; once upon a time, I actually did most of the work. I'm not complaining, though. Also changed is how we actually had themed tableware this year. Shocking, I know. Kate spotted these at Target and asked for them, so I said, "Yes, of course we can have paper products that actually match the theme and each other for a change." This being a sleepover (translation: we had kid guests in the house for 19 hours straight, instead of the usual 2 hours), we paced ourselves and kept things very, very simple, so there was none of the usual mania that you guys are used to seeing at our parties. To begin, Kate had only three guests, which took some negotiating, but it was her first slumber party and we felt that she'd enjoy three good friends much more than eight or ten "fun people" she didn't know as well. 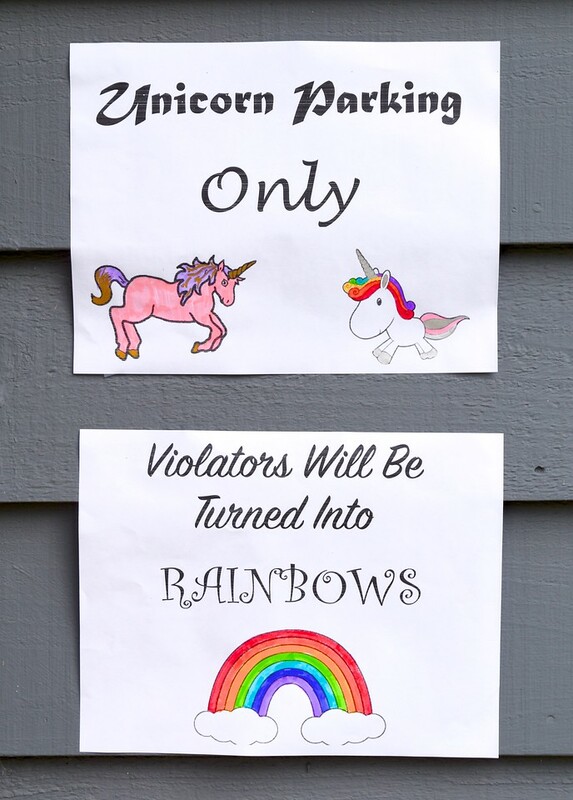 Also, because unicorns are apparently trending at the moment, choosing the activities, decor and other party elements took far less imaginative energy than usual. Emily and Kate got on Pinterest together and picked crafts and food ideas from the general internet, then executed them indoors in a calm and sane manner, with the resident adults enforcing all the usual kitchen safety (and neatness) rules. After dinner, we made sparkly pearly unicorn lip balm (we used petroleum jelly, Kool Aid powder, sugar to taste and edible pearl glitter). Then we painted our nails and put on face masks. Now, let me state for the record that I personally couldn't see how either of those spa-type activities was particularly Unicorn-y, but it appears that this theme is extremely forgiving and, in Kate's logic universe at least, encompasses all things glittery, sparkly and luxuriating. When everyone was all relaxed and gorgeous, the girls watched a movie and ate popcorn. In other words, we followed all the classic slumber party rules. Oh, wait - I am happy to report that sometime between Gift Opening and Unicorn Spa, Mother did get to execute one of her own favorite party elements, namely the absurd treasure hunt. You know how I always insist on having this at our parties as an excuse for the party guests to run off some of their crazy energy outdoors, right? 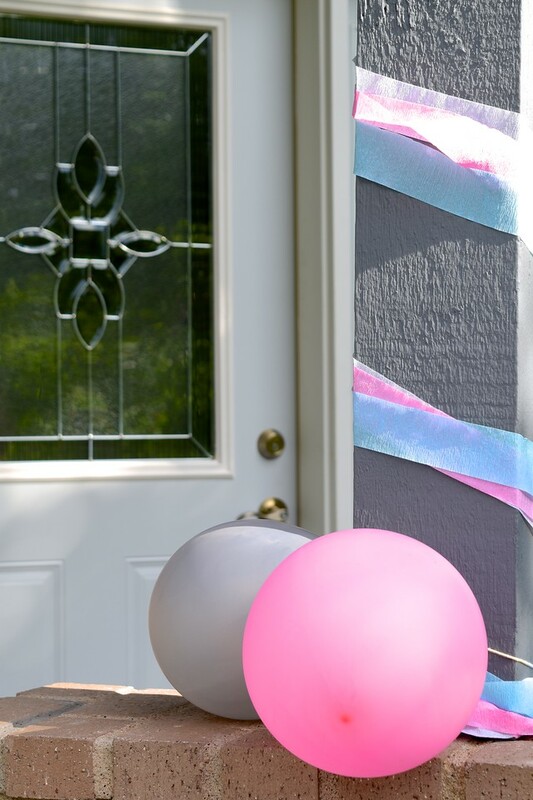 And also how I believe that while kids should be as involved in their own party planning as they want, it's a good idea to save something for a surprise on the day itself, so the birthday kid is in on the fun, too. So this next bit was our secret - Jenna helped with the making and Emily helped with the hiding and the clues. 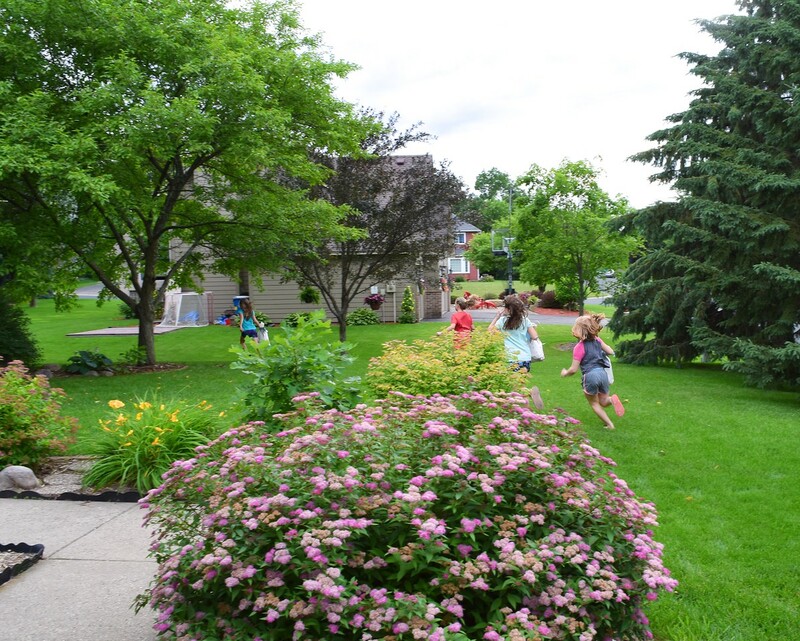 Here are the kids running around the yard, hunting for their Hidden Secret Packages which we stashed up in the trees for them to find. 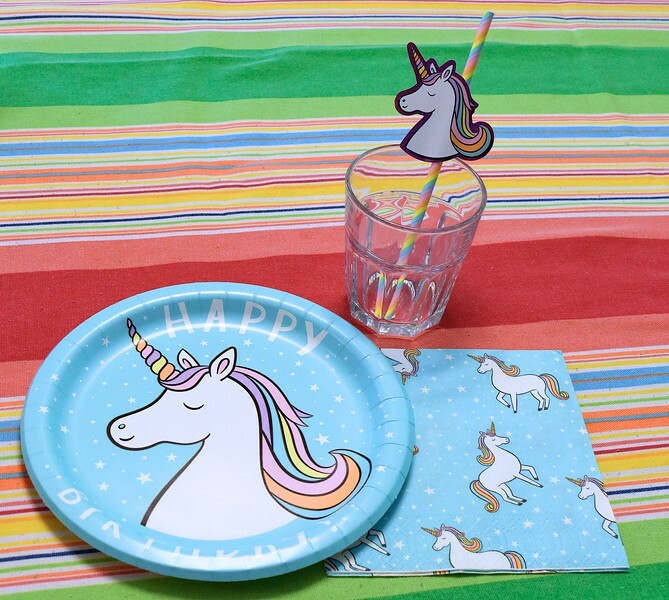 I mean, it's a Unicorn party, right? 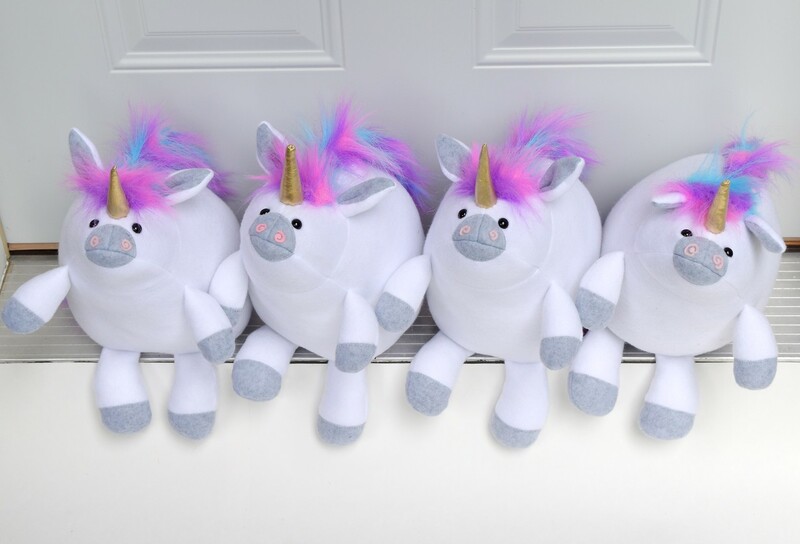 so the girls could tell their own unicorn apart from the other three identical ones. 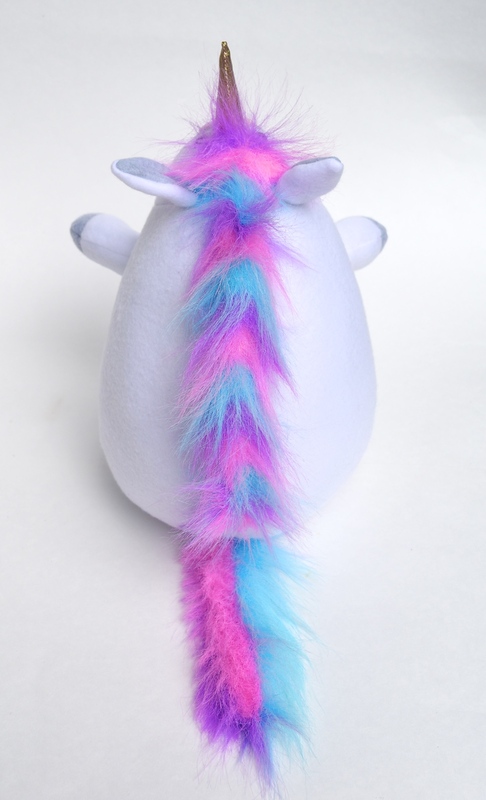 The crazy manes and tails were made with some tri-color unicorn fur I found in JoAnn. 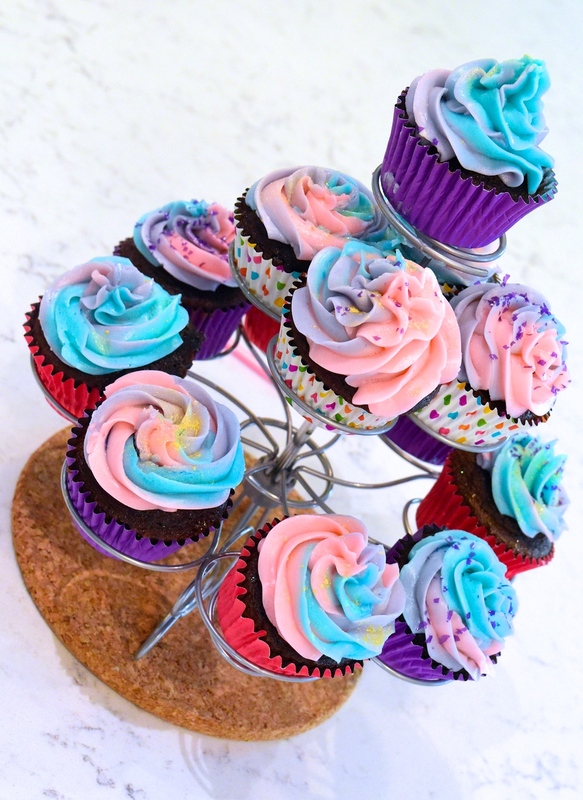 For privacy reasons, I won't be sharing any photos of the girls' faces when they opened their packages, but there was much screaming and jumping, and squealing of names like Cupcake and Sparkles and Rainbow Baby and Baby Glitter. And later, during the movie, there were brushing of manes and Unicorn Up-dos and other things that were charming and amusing and which boring adults like me would never have even thought of. I also never thought an equine Menagerie animal would work as well as this has. I mean, horses are sleek, lanky, long-necked creatures which wasn't exactly like the classic round, squat Menagerie profile. Which is why, in spite of Kate drawing a horse in her original concept sketches, it never made it into the shortlist for the pattern, much to her disappointment. Well, here you go, Kate. So glad I was wrong. 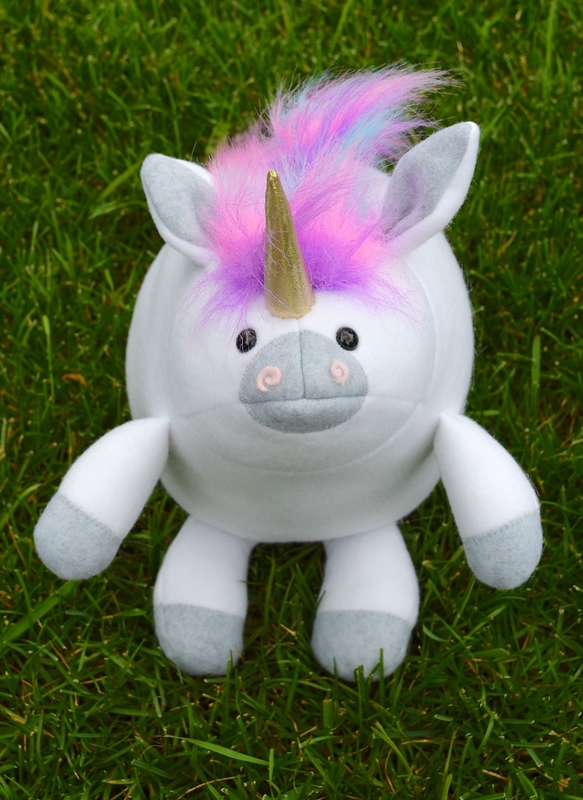 This Unicorn has turned out to be one of my favorites (and Kate's)! 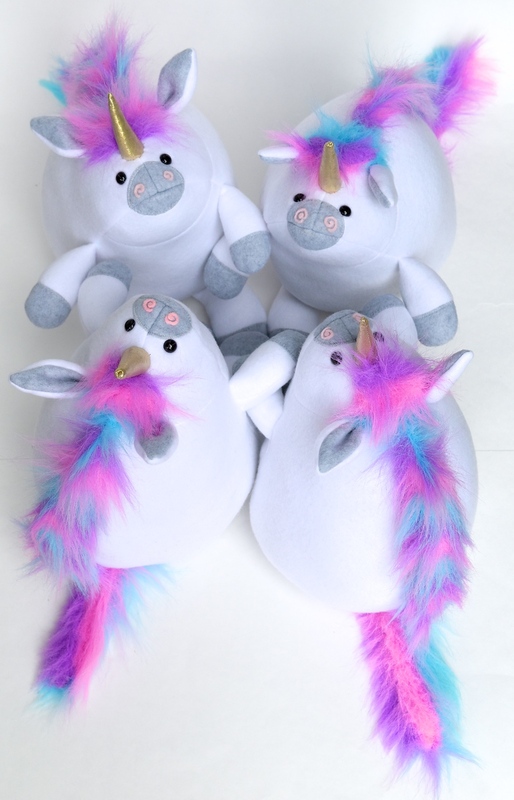 I love the unicorns, and we have some of that fur. 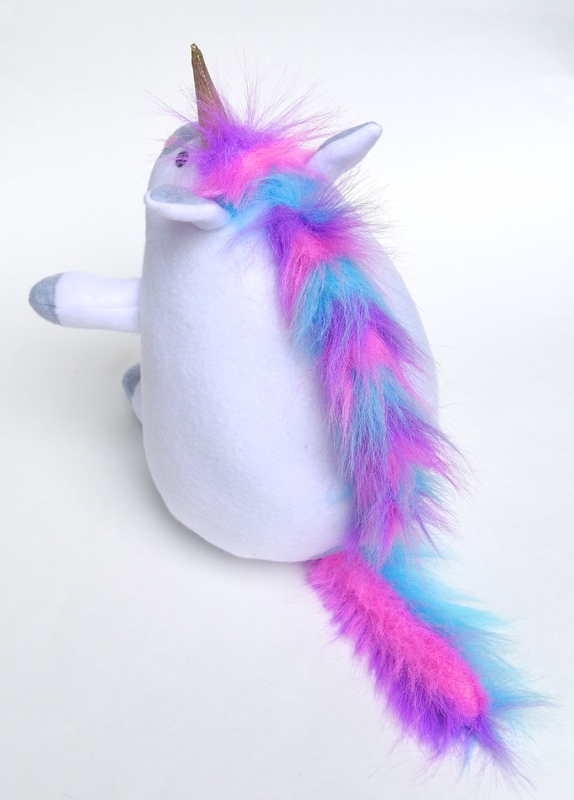 Maybe it's time for me to invest in your menagerie pattern... how hard would it be to work out the unicorn adaptations? Also, what fabric did you use for the horns? Horn fabric was some gold remnant I had from an earlier Halloween costume. Any gold fabric (or sparkly fabric) would work. If it is thin or sheer, as these fancy fabrics tend to be, I'd suggest layering that over a more robust fabric like felt. That's what I did with this horn and this particular gold fabric. Adaptations: arms, legs are the same as the other animals in Menagerie, as is the body and base and face. 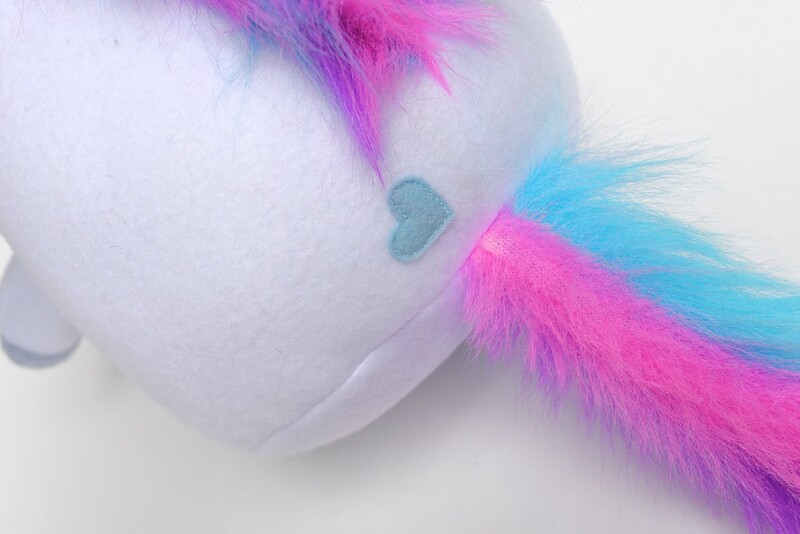 The muzzle is an adaptation of the kangaroo's, and the ears are adapted from the kangaroo's as well (the unicorn ears are smaller). The mane and shock of forehead fur are new, i.e. none of the original Menagerie animals have something close to this (yet). How fabulous! All of it...letting them plan and execute, holding back one activity so the birthday girl had a real surprise, and those stuffies! Too cute! Your girls are growing up to be amazing young women... thanks for asmall peek into that joy. My youngest is newly 28 and I so miss some of the wonder of the journey. I've been reading your party posts for years and have clearly tuned in to your wave length, we did Vaseline/jello powder/edible glitter lip balms at my 8 year old Kate's party two weeks ago. 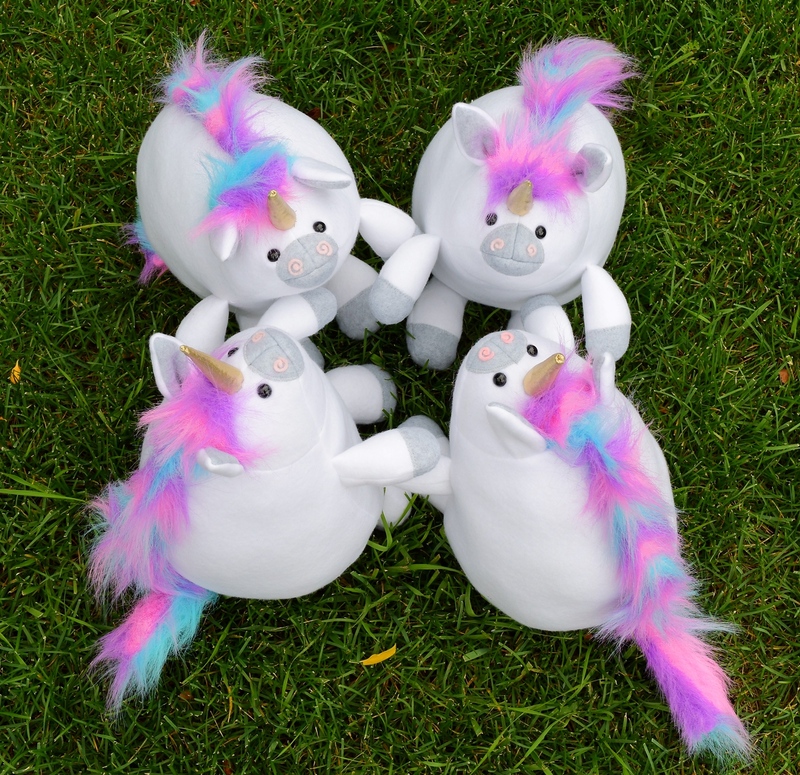 The unicorns are just beautiful and the whole party sounds great. 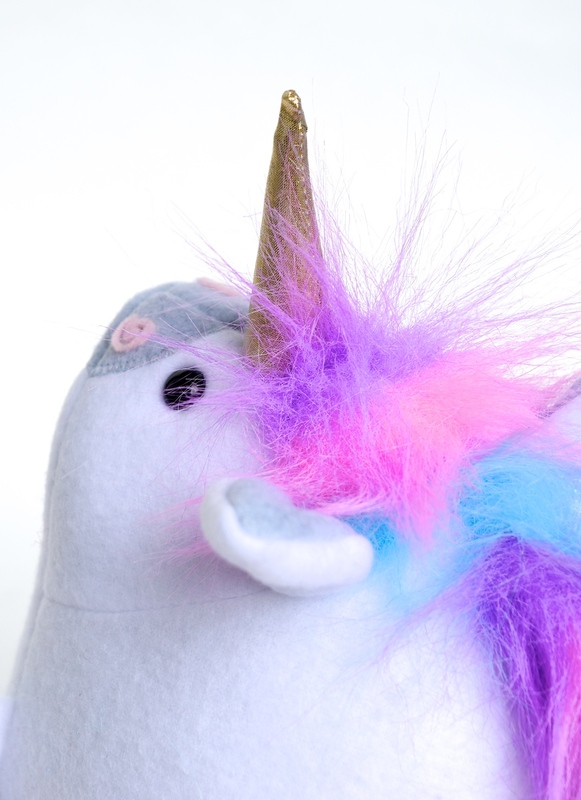 Tbese unicorns are great!! I'm sure the girls loved them!! omg this is so cute i wanna cry!